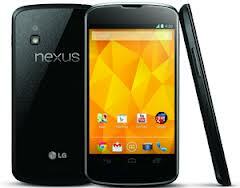 LG Nexus 4 is one of the top offerings when it comes to android smartphones. The device sold off quickly on the Play Store – and ever since then we’ve been waiting for the ‘out of stock’ message to disappear. But now there’s good news for shoppers who have been itching to get their hands on the phone. The device is now listed as ‘available’ on the Play Store, with the delivery/shipping time of 1-2 weeks. The price remains the same for both 8GB and 16GB versions. The n4checker shows both versions are in stock for the US and Germany. Gottabemobile reports the device is also in stock at the Canadian Play Store, although the n4checker gives an error for Canada. Nexus 4 first sold out in December, which lead Google and LG to exchange words on who was responsible for the supply shortage. However, LG announced that they would have the situation under control by the mid of February. The price is $299 for 8GB and $349 for the 16GB version for U.S customers. The price is on the low-end for an unlocked android handset with high-end features. Nexus 4 comes with a quad core Snapdragon processor, large HD display, 8 megapixel back camera, 1.3 megapixel front camera and android 4.2 Jelly Bean, the latest android firmware. However, there’s no 4G LTE. Consumers have an opportunity to get the Nexus 4 while it’s available, because there’s no guarantee that stocks won’t run out again. Does the Nexus 4 tempt you? Let us know what you think about it in the comments section below!